LXI is our do-it-all graphic design and production software that drives Vinyl Express vinyl cutters, PrismJET large format printers and hundreds of other vinyl cutters. LXI offers many user-friendly features that enable professional quality output for signmakers and garment decorators. One of the things that makes LXi such a powerful graphic design suite is the program of steady updates. The obvious advantage is that new drivers are added as new vinyl cutters come to market, so all of our current vinyl cutters and PrismJET printers are supported. One option is hiding your task bar. It takes all of about…2 minutes. Maybe 15 seconds if you’ve already had your first cup of coffee or Monster. 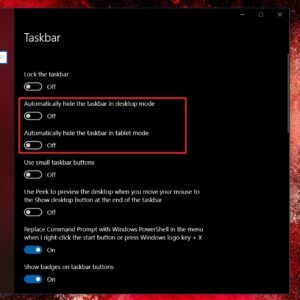 Here are the steps to hide that pesky Windows tool bar. Right-click on an empty area of the task bar. 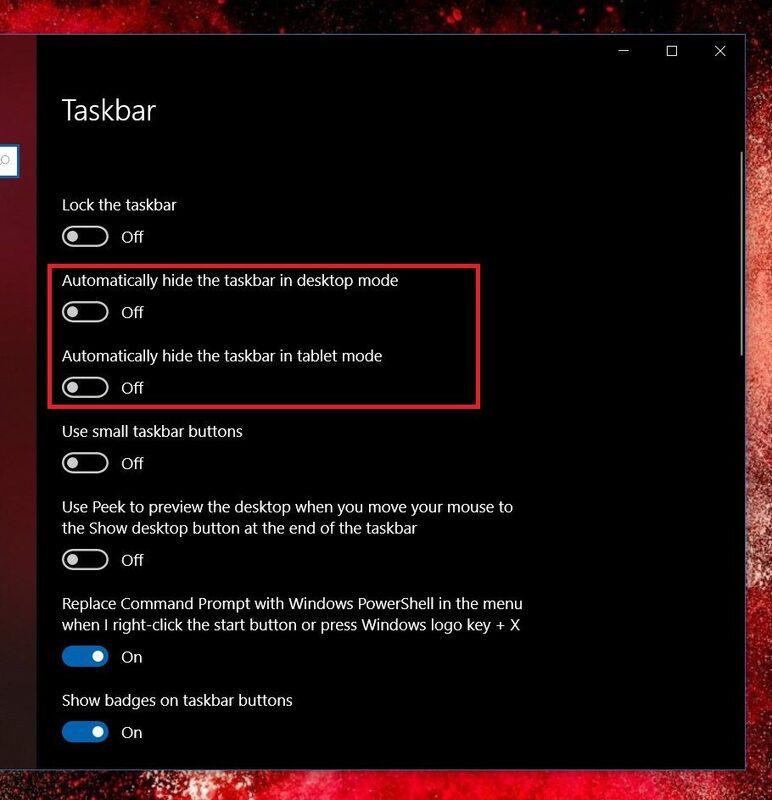 Toggle Automatically hide the task bar in desktop mode to on. Here is a link to a detailed Windowscentral.com article that explains it in detail. But this is an easy fix for people familiar with Windows. The nice thing about this is, the task bar doesn’t stay hidden. If you want the task bar to show up, just hover your mouse over the lower part of your screen and it will magically reappear. Not everyone wants to hide their task bar. It can be tricky to have it disappearing and reappearing. Some users find this mildly annoying. Fortunately, there are two other solutions. The other solution is to maximize the Cut-Plot or RIP & Print window. This will automatically pull that bottom toolbar up from behind the task bar. This will make the Cut-Plot window the full size of your PC screen. Some people like this option because makes their work space bigger and easier to see. The work space is the side of the panel that is showing what you are cutting. It doesn’t make the other panels or buttons larger. Everything else is still the same size. If you’re thinking of using this solution with hiding the task bar, think again. This option will not work with the hiding the task bar option. If you are trying to use the buttons on the bottom, the task bar may keep popping up and hiding your tools. So you have to keep the task bar in its default setting if you choose to just maximize the window. The third, and perhaps simplest way to fix this is to just use your mouse to shrink the Cut-Plot or Rip & Print window. It’s a simple click & drag solution. 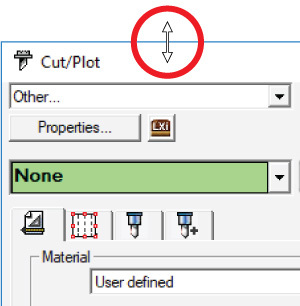 If you hover your mouse over any edge of the window, your mouse cursor will change to a double-sided arrow (Fig 2). Just click and drag the arrow inward to reduce the size of the window. If you do this on the top edge, the window will be resized disproportionately. That is, it will be shorter, but keep the same width, just like when you resize objects in your LXI design space. If you place the arrow on a vertical edge, the window will be condensed; made narrower. This reduces the size of the preview window, so this may not be your favorite solution. If you place the cursor in the top left or right corner, the arrow will be canted diagonally. Now if you drag it toward the center of the screen, the Cut-Plot window will be reduced proportionately. With the screen smaller, you can then move it to wherever you want and reveal all of your toolbars. There is a limit to how small you can make the window. Once the window stops responding to your click & drag commands, you have reached that sized. The image shows the little double-sided arrow that will appear. This option and the next option can work together. 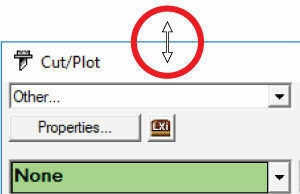 Whether you prefer hiding the task bar, maximizing the Cut-Plot window or just resizing it, there are quick and easy ways to recover hidden LXI Cut-Plot tools. And don’t forget. We have a great archive of other helpful hints and tutorial videos to help you master LXi. I hope these options help you streamline your work flow and help you design beautifully, cut precisely, and print perfectly.